Whats up everyone!?! I really like FTE and seen this thread so i thought i would share my ride. welcome to FTE there 4playin. very sweet truck you got there, whats the specs on it? 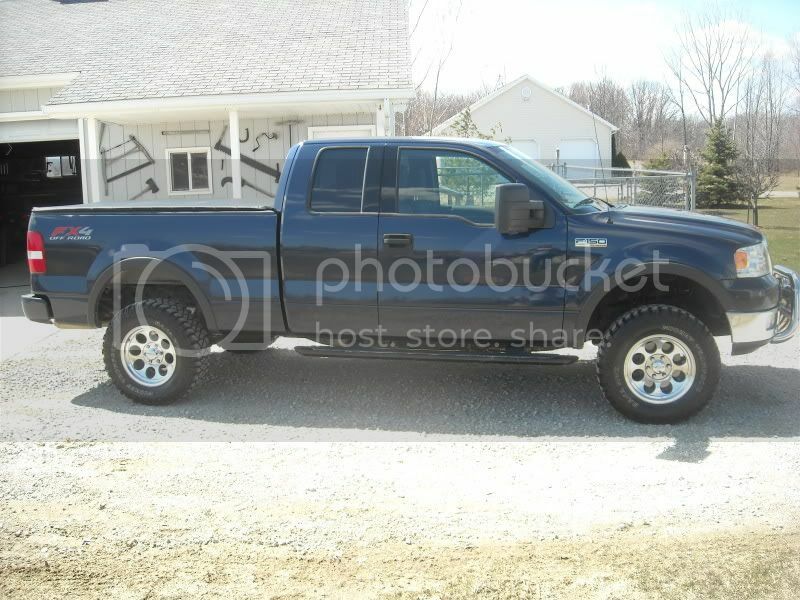 I have a blue F150 I think the same color as yours 4playin. I was wondering how black rims would look...so thanks! Also where'd you get your grill? Thanks for the welcome. 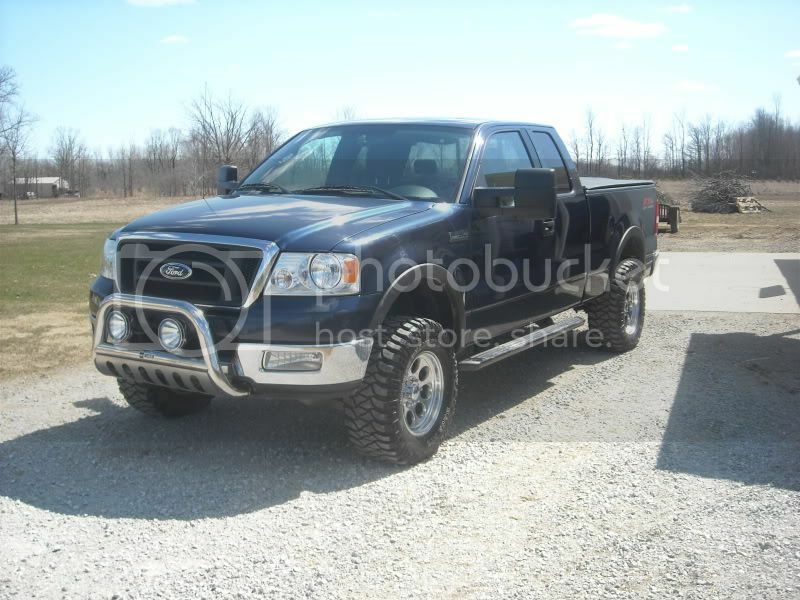 Its an 04' 5.4L, it has a SI/DO Flowmaster Exhaust, Airaid Intake, Edge Evolution Programmer, 4.5" Superlift Lift Kit, 35X12.50 18's ProComp Extreme AllTerrain Tires and the wheels are Cruiser Alloy Commando's. 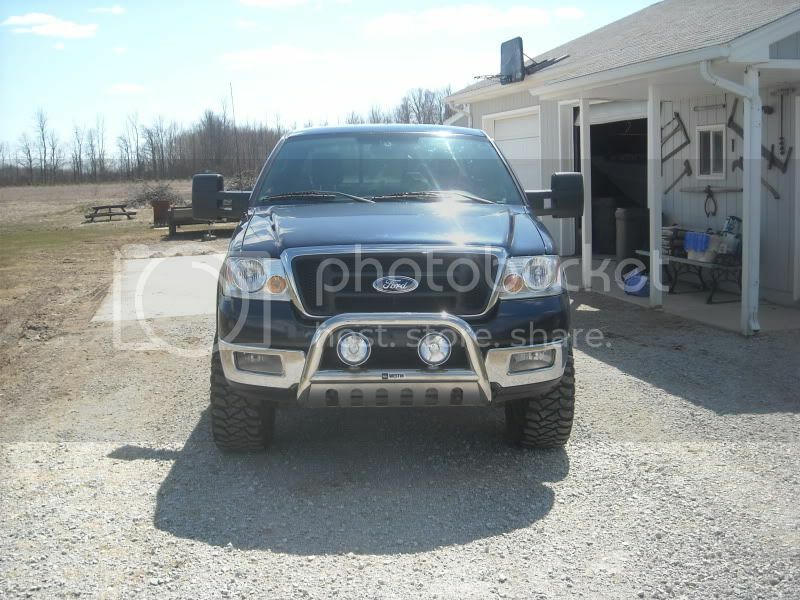 I got the upper and lower grille from Stylin Trucks, they are the RDX brand. I like this grille because it looks good and it is all metal no plastic. Just put the summer tires back on and it looks alot different now with the new mirrors, bull bar and lights. I think it looks meaner now. I like it. Looks a lot nicer just adding a few things. I really like the mirrors too where did you pick those up? Very nice lookin truck Still Smoking!! What kind of tonneau cover do you have? And how do you like it? 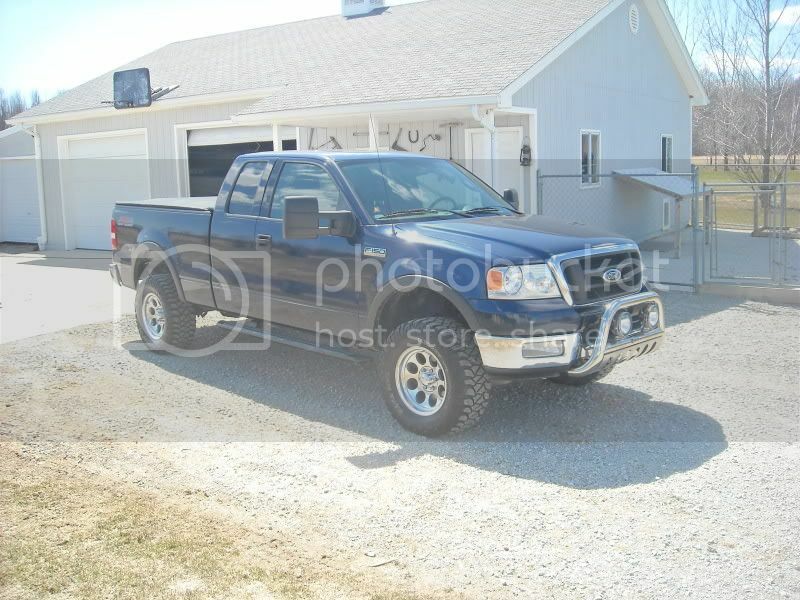 I believe its called a Tonneau Master. I like it. Sometimes its a pain to snap back on. Just got to pull and start on the corners. It came with the truck so I cant complain.